Navesink Bank’s biggest b!tch finally gets what is coming to her. They knew she was going to strike back for taking down her empire, for imprisoning her for years. All those years stuck in a cell gave her a lot of time to think, to plot, to plan her revenge. But they couldn’t have anticipated this. * This can not be read as a standalone. The Fall of V is not your typical MC Romance, In face there isn’t much romance in this book. There is love alright, but more so love for family even those that are not blood related but still very much people you call family. The fall of V has just enough dark and is one hell of a ride. I can’t say much more as I really don’t want to give anything away. 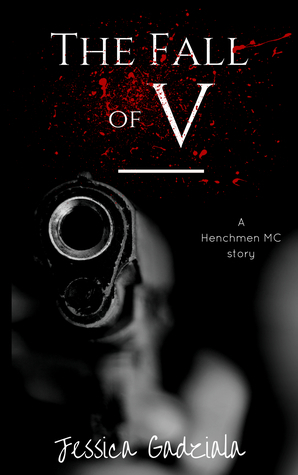 One thing I will say is you really need to be caught up on the henchmen series to thoroughly enjoy reading this book. I’d love to see a spin off from this book, I know Jess has mad skills when it comes to this universe so you never know what might come next…. Now THAT sounds like a really good read!